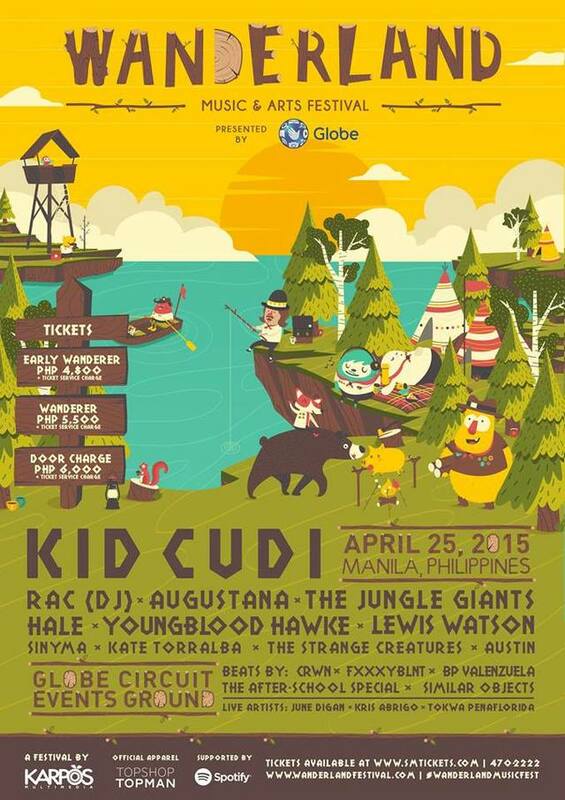 After it was announced a while back that rapper Kid Cudi would be headlining, Manila-based Wanderland Music and Arts Festibal has announced a fairly sprawling lineup that will have a promising bunch of indie pop and rock acts under Kid Cudi's emotionally resonant brand of psychedelic hip-hop. Catch the likes of Augustana, Lewis Watson, The Jungle Giants, Youngblood Hawke, along with local indie acts to discover. RAC will also be on the decks for a DJ set over at the festival. Manila's not that far away, so you know what you can do!